Staff members and employees at nursing facilities throughout the United States are required to ensure that every patient’s dignity and respect of individuality are maintained at all times. This is especially important to patients who are cognitively impaired or require an extensive level of assistance with their hygiene needs. Unfortunately, many facilities fail to properly train their employees and nursing staff, which is often to the detriment of the resident’s quality of life. Rosenfeld Injury Lawyers LLC represent nursing home patients who have suffered insolence, disrespect and a lack of dignity while residing at Illinois nursing facilities including Charleston Rehab and Health Care Center. As a part of the Peterson Health Care System, Charleston Rehabilitation and Healthcare Center provides around-the-clock skilled nursing care, along with Alzheimer’s care, memory care, and the Peterson Pathways Rehabilitation Program. A complete list of safety concerns, health violations, opened investigations and filed complaints can be found on numerous websites including Medicare.gov. Many families use this data for a comprehensive understanding of the level of care every nursing facility provides in their community. 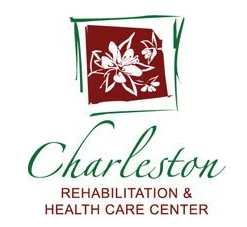 If your spouse, parent or grandparent has suffered injury or harm while a patient at Charleston Rehabilitation and Health Care Center, call the Rosenfeld Injury Lawyers LLC law offices today. Our seasoned Illinois nursing home attorneys can provide your family immediate legal intervention to stop the abuse and mistreatment of your loved one now. In addition, our law firm can handle the entire process of obtaining the financial compensation your loved one deserves for the inappropriate actions of their caregivers. We encourage you and your family to contact our Coles County elder abuse law office by calling 888 424-5757 to schedule your appointment for a no-obligation, initial case consultation at no charge to you. We accept all wrongful death lawsuits, personal injury cases, and nursing home neglect/abuse claims for compensation through contingency fee arrangements, to avoid the need of making an upfront payment.